You may have heard of cute, hairy chia pets, but in addition to being able to grow green hair, chia seeds have other hidden superpowers. 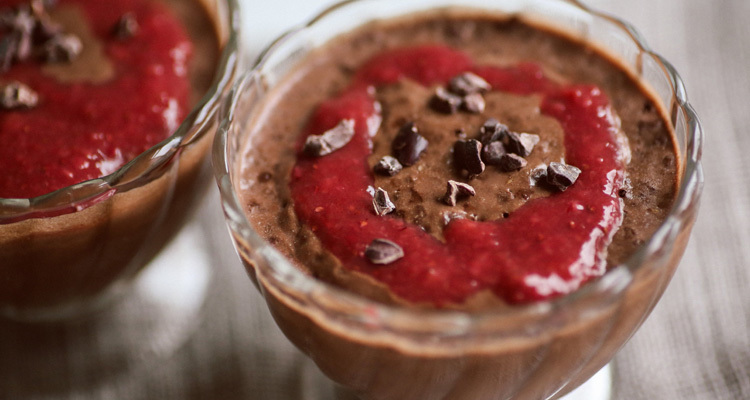 Chia seeds are miracle seeds packed with vitamin, minerals and antioxidants.They reduce inflammation, fight cancer, help soothe sensitive digestive tracts, and create an amazing pudding to boot! 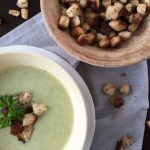 Plus, they provide you with protein, fibre and essential fatty acids, which ensures a steady stream of energy that will keep you full until your next meal. In fact, this little seed was thought to be so powerful that the Tarahumara Indians used them before embarking on their legendary hundred mile runs, and the Aztecs and Mayans used to eat them before heading into battle. Endurance athletes are now rediscovering the power of chia seeds as a way to boost endurance and performance. Chia seeds can be sprinkled on everything from salads to oatmeal, and can be used to make jams, sauces, energy gels, puddings, and smoothies. 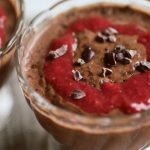 My absolute favourite way to use them is to make chia seed pudding. It reminds me of a cross between a pudding cup and tapioca pudding, both of which I used to adore. 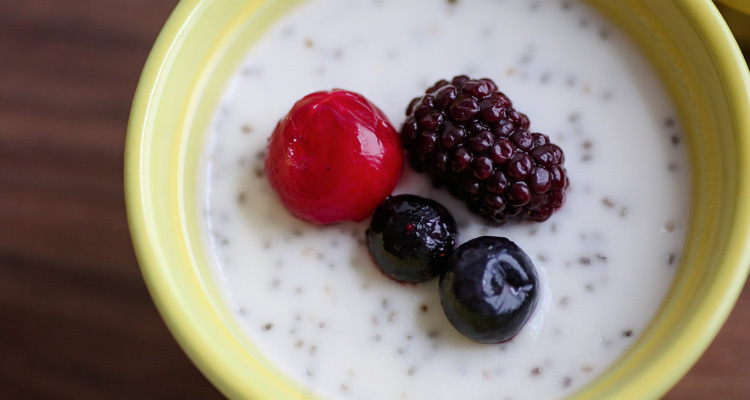 Here are two varieties of chia pudding, which you can eat as a snack, dessert or breakfast! In a glass container, mix together cream, milk, chia seeds, maples syrup, and sea salt until well combined. Cover and let chill in your fridge overnight. In the morning, remove from the fridge and stir in the raw cacao powder. Top with Coconut Whipped Cream or Fresh Berry Sauce. Mix together the cream, almond milk, chia seed, maple syrup and vanilla until well combined and the mixture starts to thicken. Cover and let chill in the fridge overnight. Remove from fridge, top with fresh berries, or Fresh Berry Sauce, and serve.